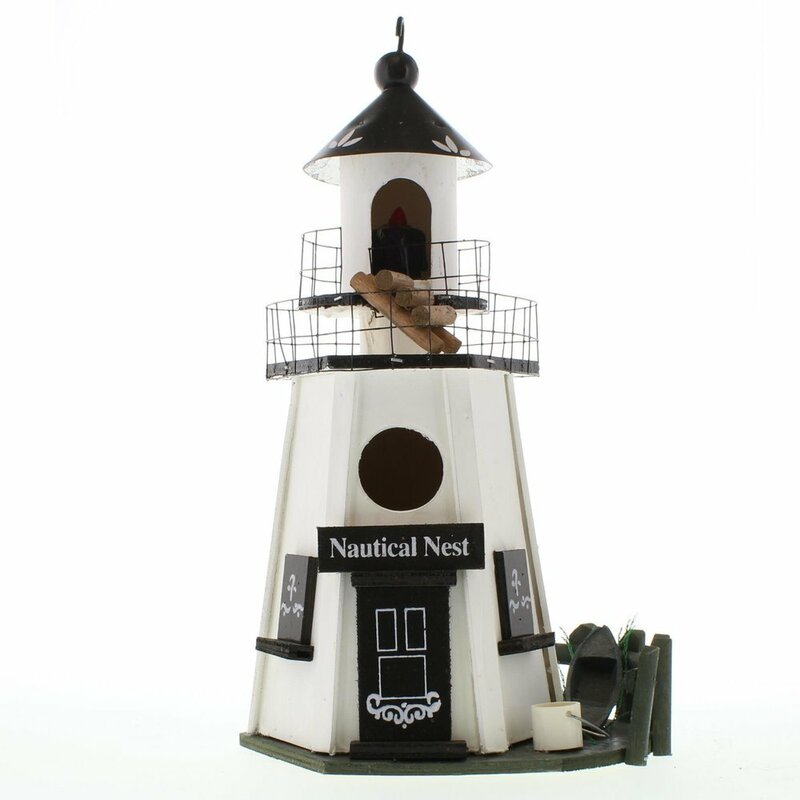 Wooden light house bird house featuring a two-tiered walk and authentic nautical accents. Birds love this Pennsylvania Dutch-style haven! Weight	1.2 pounds. 7.25" x 5.25" x 12.2". Wood, Eucalyptus Wood, Metal. UPC: 849179014629.